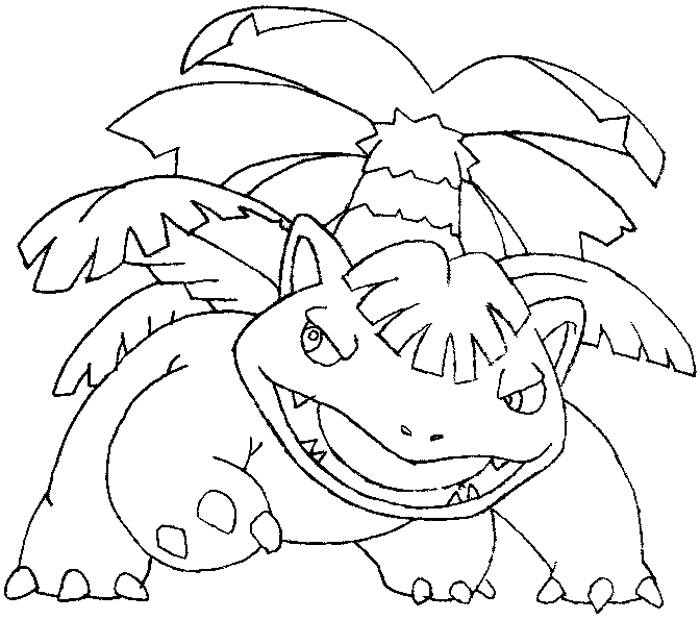 Venusaur is a dual-type grass/poison type Pokemon who evolves from Ivysaur and evolves into the final form of Bulbasaur. 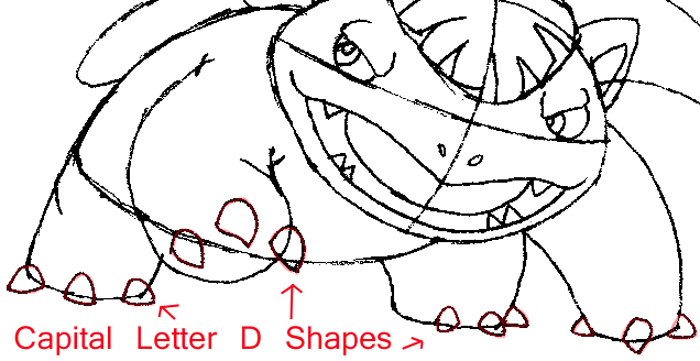 I hope that you enjoy this easy-to-follow step by step drawing lesson. Enjoy! Start off with a football shape with a cross section for the facial features. 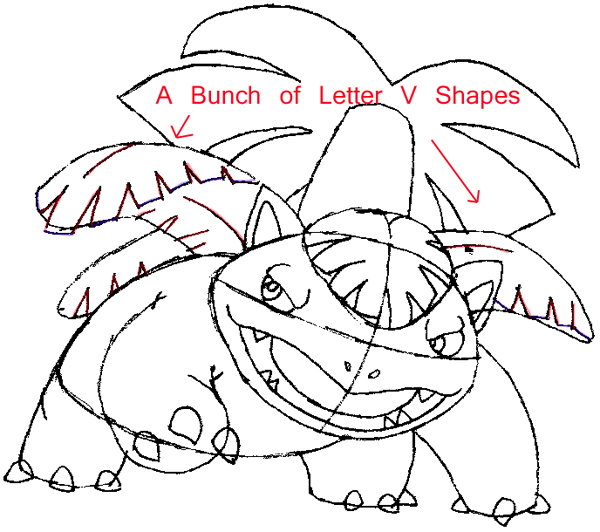 Add a rounded diamond shape at the top for the leaf on Venusaur’s head. Add a larger football shape for the body. Add four stump shapes at the bottom for the legs. Be sure that the ends are flat. I highlighted the legs in different colors to show you that they look a bit like specific letters. Add some shapes at the back for the leaves…they look like letter ‘J’ and ‘U’ shapes. 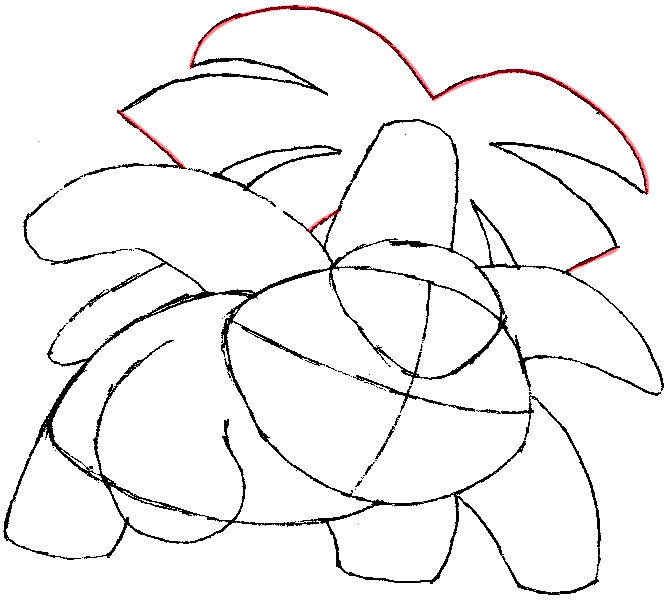 Start to draw a rough palm tree shape at the back. 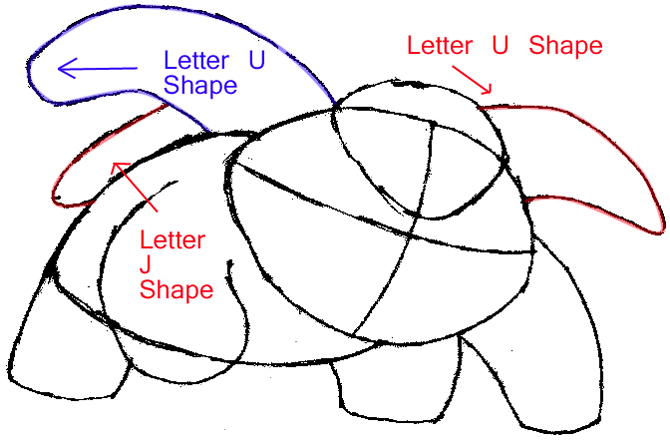 Draw an upside down letter ‘U’ shape for the base and some letter ‘v’ shapes around it. Start to draw the facial features, ears, and leaf details.Draw eyes that look like a sideways capital letter ‘D’ and ‘C’. Draw seed shaped nostrils. 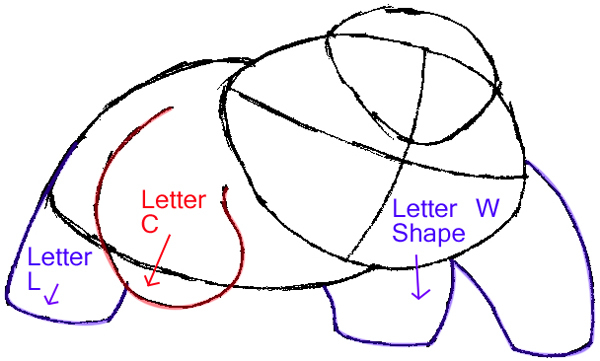 Draw letter ‘V’ shaped ears and leaves. 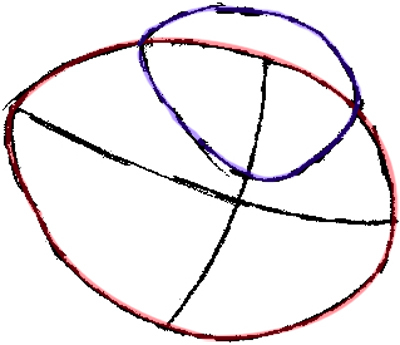 The mouth is made up of 2 slanted ?-shapes that connect in the center. Draw 2 curved lines for the bottom of the mouth. 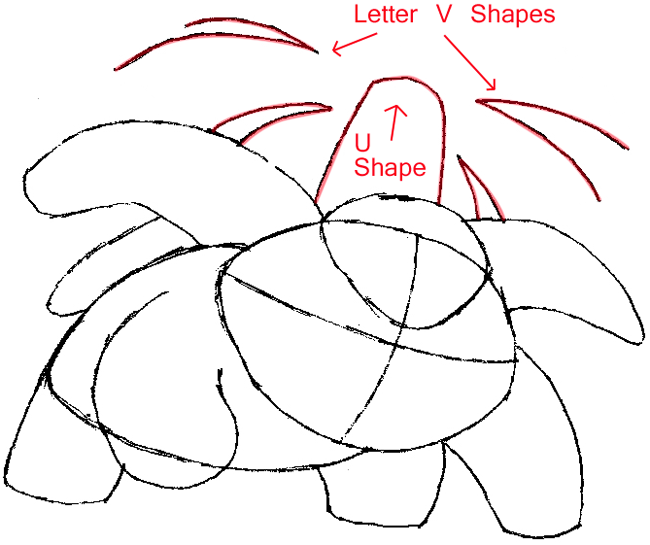 Draw letter ‘v’ shapes for teeth. 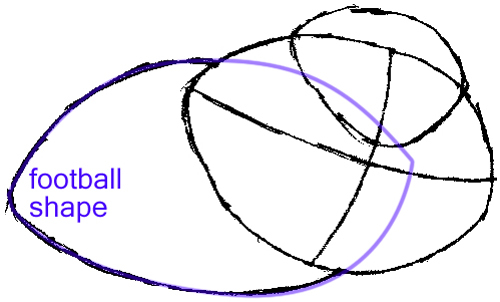 Draw oval shapes inside each eye. Add three triangles on the tip of each leg for the claws. If you notice the claws look like sideways capital letter ‘D’ shapes. Add some ridges at the edges of the banana shapes to define the leaves. Notice all the letter ‘V’ shapes. 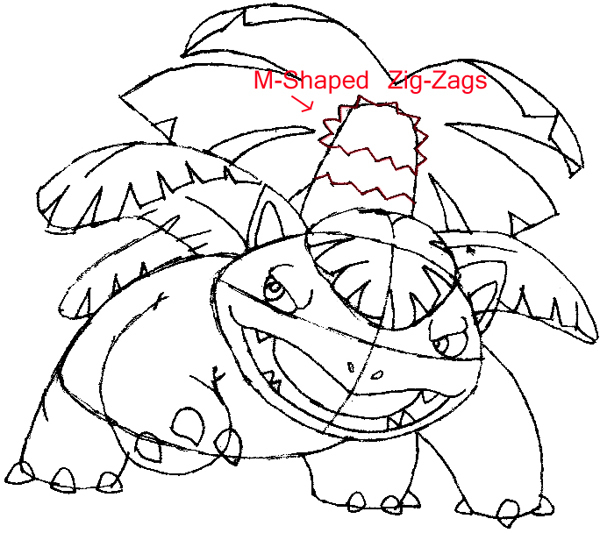 Add some details to the palm three’s trunk….which are letter ‘M’ shaped zig-zags. Erase your guide lines and you’re done! Darken or thicken any lines that might need some touch ups. 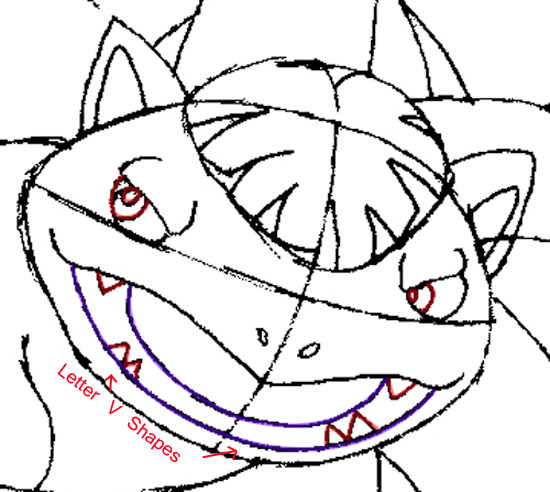 I hope that you enjoyed drawing Venusaur and that your drawing turned out great! 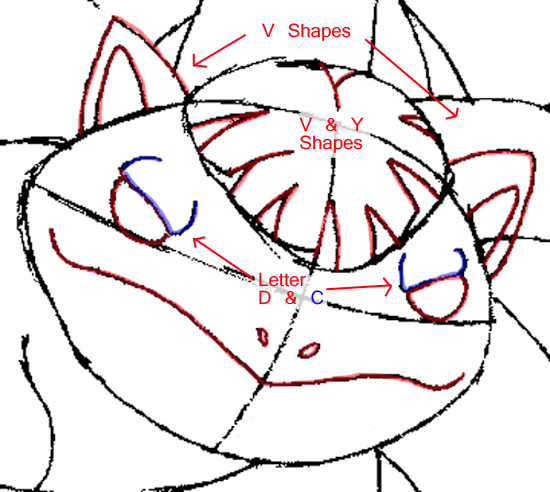 Come back for more Pokemon drawing tutorials and other types of drawing lessons. U mean bulbasaur evolves into ivysaur then venasaur right? Yes. 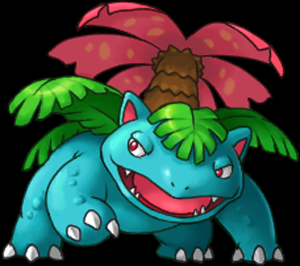 Bulbasuar turns into Ivysuar at level 12, and then into Venasuar at level 32. THX AND YES bulbasaur evolves to ivysaur I have the cards…. This article was written on 19 Feb 2014, and is filled under Pokemon.